Since last year was monumental for the music industry, I couldn’t get too far into 2017 without creating a “Best of 2016” indoor cycling playlist. First and foremost, we said goodbye to quite a few celebrities with significant contributions to music, like George Michael, David Bowie and Prince. 2016 also saw new Top 40s hits that are great for a spin class. So, I combined some of the chart-toppers with classics from those that passed last year to create the ultimate indoor cycling playlist of 2016. I’ve done this one a bunch in my spinning classes, and it is a huge hit with participants. They always finish this ride out of breath and wiped. Now, whenever I’m in a pinch and need a go-to indoor cycling playlist, I’ll pull this one out. Here is my member-approved “Best of 2016” indoor cycling playlist. Here’s the series — do it three times through. The first two songs are “climbs”, which means you add resistance throughout both songs. In addition, you can add some fun variations to the ride. Like if your bikes have monitors, you can ask participants to increase their RPMs or leg speed on the chorus, or go in and out of the saddle as you go, as long as everyone is increasing resistance throughout. Then, the last song is for intervals. I ask participants to track their distance for a 2-minute breathless interval in the first song. Then in the second series, we use that distance as our guide. So, I’ll ask participants to do half the distance in half the time. Divide that original distance by two, and time the class for one minute. Finally, in the third series, we’ll again do half the distance in half the time, so divide the number by two and go that distance in thirty seconds. You choose how many intervals you’ll do for each song. I like to do the first one once. Then, series two has two 1-minute intervals. And, series three has three or four 30-second intervals. This Valentine’s Day, I can’t help but celebrate all of my loves. And let me tell you, I love a lot of things. Sweet potatoes. Margaritas. Hi-rise leggings. Ponytails that don’t pinch. Words that stick. But, at the top of my list of loves this year? Resistance band workouts. I know I talk about resistance bands all the time, but they are seriously the perfect exercise tool to use in your next fitness class. Resistance bands are great, because everyone in a class full of varying fitness levels can pretty much all use the same resistance band and get a good workout. The bands have so much versatility — they help us get a full body workout, especially when mixed with bodyweight exercises. When leading your class through resistance band workouts, instruct participants to first inspect their band for rips or tears to prevent the band from breaking during the exercise. Then, grab the band and get started. Here are my five favorite exercises that you should include as part of your upcoming resistance band workouts. Grab the band in both hands and extend your arms out in front of you so the band is already taunt. Step out with one foot, and bend both knees to lower into your lunge, while also bringing your arms away from each other. Remember to keep your elbow slightly bent, but you don’t move at the elbow joint in this exercise. Instead, you’re moving at the shoulder joint to bring your arms further apart. Wrap the band around your back and put your hands over the band securely. If it bothers participants to rub the band against their body, they can either put a towel between their clothes and the band or they can do push-ups without the band. From there, do push-ups as you normally would. The most important part is to make sure that the band is taunt when you’re in the plank position at the top of the push-up. Place the band underneath the arch of your shoes for one or both feet. Then grab the handles and bring your arms up so that your palms face away from your body. If this makes the resistance too heavy, then you can leave the band by your sides as you squat. You can also do one arm at a time. If this makes the resistance to weak, you can “choke up” on the band and grab the band itself until it feels more challenging. Squat with your hands by your shoulders, and as you stand bring your arms overhead in an overhead press. Place the band underneath the arches of both shoes with your hands in the handles by your sides. Step out to one side, keeping the band under the arch, and bend into a side lung with one leg bent and the other straight. Then, come back to standing with your feet together and bring your arm into a bicep curl. Place the handle in one hand, then swing the band behind your back and grab the band with the other hand. The more you “choke up” on the band, the more challenging it will be and vice versa. Bend your elbow so that it faces the front of the room with your hand behind your head. Then, keep your elbow where it’s at and bring your hand up to the ceiling. Make sure to switch and do the other side for this exercise and the others that are unbalanced left side to right. These five exercises will give your class a full body resistance band workout. For more exercise ideas, check out the workout routines page. I am obsessed with using the resistance band for chest, arms, legs and back workouts. Resistance bands are compact enough to fit in a purse or suitcase, so I can easily get a workout anywhere while simultaneously prepping for my next group fitness class. It’s so easy to modify each resistance band exercise, so that participants with a wide variety of fitness levels can all get a good workout using the same piece of equipment. I know I’m gushing, but seriously, resistance bands are AH-MAZ-ING. Resistance bands will help you target every muscle group, so you can get a full body strength workout when you want it. And, as you know, strength training is mission critical for those looking to lose weight or get healthy. Strength training helps you burn more calories long after your workout is over, and is great for strong bones and a better mood. Here are four resistance band back workouts that you can incorporate into a full-body or upper body strength plan. Wrap the resistance band around your feet so that the band comes out on the outer sides of your feet. Then, either grab the handles or “choke up” on the band by grabbing lower to make it harder resistance. From there, pull the bands back towards your sides as you squeeze your shoulder blades together. Either sitting or standing, grab the band in both hands firmly and extend your arms out in front of you, at shoulder height, with elbows slightly bent. Then, bring your hands away from each other again squeezing your shoulder blades together. Feel free to bring your hands all the way back until they’re about an inch in front of your shoulders. You can adjust your grip to increase the resistance of the band. The closer you have your hands together, the harder the exercise will be. Either sitting or standing, grab the band in one hand, holding it secure so that it doesn’t slip around in your hand. Then, grab the handle using the other hand. You want the band already pretty taunt, so feel free to choke up if the band has too much slack. From there, with both palms facing the wall in front of you, you’re going to extend the arm holding the band above your head, so that the wrist, elbow and shoulder are all in a straight line, without locking out your arm. The other arm comes over head in the same position, then you bend at the elbow to bring your arm down toward the floor. You should feel the back muscle under the armpit working to bring your arm down by your side. You’ll bring your elbow down below shoulder height, with your wrist staying wide and slightly higher than your elbow. Bring your chest towards the ground until your chest is parallel to the floor, knees slightly bend. Place the resistance band under your feet, then grab either the handles or “choke up” to grab the band itself. Then, pull the band up toward the ceiling and back down, squeezing your shoulder blades together as you do it. If this doesn’t feel challenging, bring your hands closer to the ground and grab the band there. That will increase the resistance and intensity of the exercise. For more exercise ideas, check out the workout routines and playlists page. Forget presents and twinkle lights, I’m of the belief that nothing gets people in the holiday spirit quite like Christmas workout songs. Music can make or break a group fitness class, and it has a huge impact on the energy of a class, so it’s no surprise that Christmas music is an ideal way to make your holiday fitness classes feel fun and special. I’ve shared the top motivational songs for Group X a few months back, and now here are 10 Christmas workout songs to try. 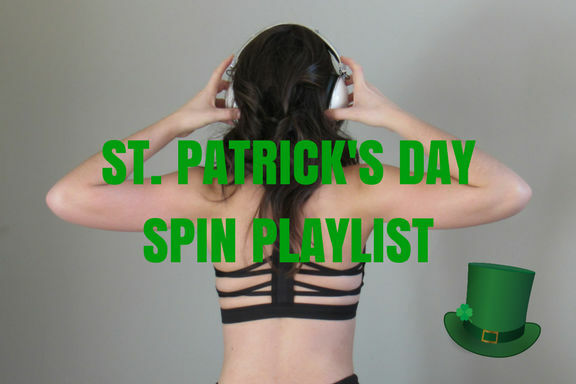 I picked these songs, because they are all fast-paced, upbeat songs great for strength or spin classes. Of course, I had to include my all-time favorite Christmas song, “All I Want for Christmas is You,” by Mariah Carey, which has a great beat for holiday-themed workouts. It’s important to note that you’ll need to make sure you’re considerate of the participants in your Group X class before playing exclusively Christmas workout songs. 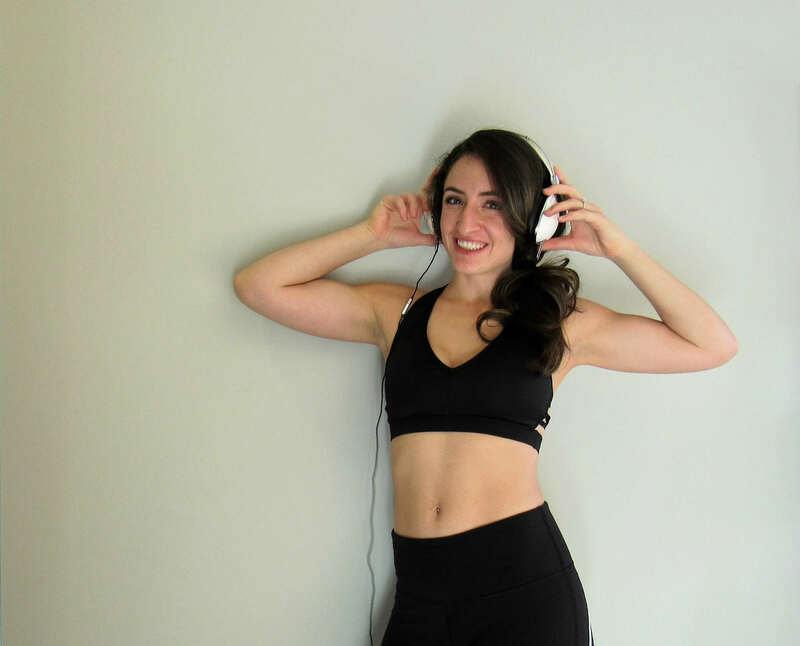 If you want to round out your holiday workout playlist, consider including songs for other holidays this time of year, like Hanukkah, and winter-themed songs, as well. A good playlist has a hearty mix of songs to reflect the interests of the participants in your class. For more themed workout playlists for group fitness classes, check out the Memorial Day workout playlist or the Halloween workout playlist. 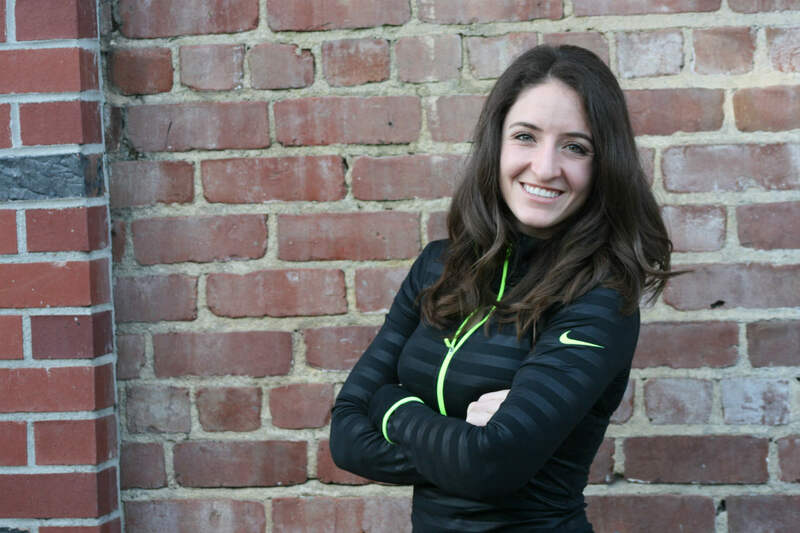 Why do your participants show up to your group fitness class? That’s one of the hardest questions to answer, but one of the most critical for personalizing and tailoring your spin class routine for your audience. 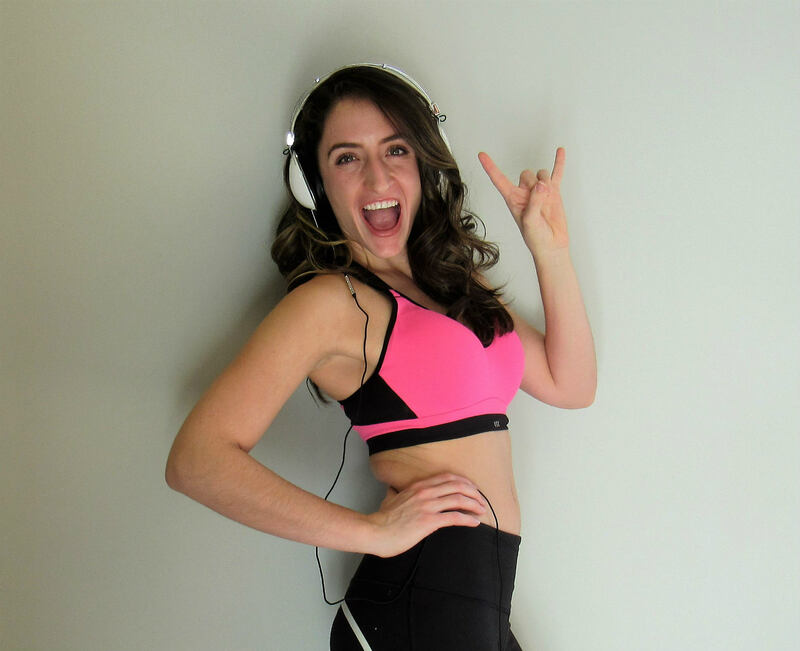 I was able to attend two separate spinning classes this month with two very different types of people, and I took away some great spin class routine ideas to share with you. What I found most interesting from the two spin classes I took were how the style of instruction differed, and how my friends and fellow participants reacted to each class. The first was a dream for all my data heads out there. You plugged your stats into the bike, and then as you rode, the bike would let you know if you were working in the ideal range. My engineer, number-crunching fiancé loved it. He told me he much preferred that to the motivational rides that tap into your feelings. After that ride, I felt like I needed to focus on spin class routine ideas that cater to the numbers and stats. But then I went to the second class with two inspiring, emotionally-driven friends. Familiar with spin classes, they told me they just wanted a dark room where the music was on fire and they could just let go. We went to Flywheel class where there were some numbers to look at, but it mostly focused on the high-energy music with an instructor that had a personality to match. Also interesting was that the Flywheel class has a “torq” board you can sign up for that will flash on the screen so you can race your fellow participants. In my class, only one other girl participated with me, while there was a handful of men on the board. Yet, the class had at least a dozen other women in the room that did not want to be on the board. If I just had that one experience to pull from, I would think I needed to focus on spin class routine ideas that catered to good music and inspiring directions. This just even further complicates the question of why people are coming to your spin class. Ultimately, everyone comes for a different reason, seeking a different experience. It’s up to you to find your own style and own it, even if it’s not one everyone likes. So, we need to make sure we’re constantly evolving and changing up our spin class routine in order to cater to the wide-range of needs in a given class. 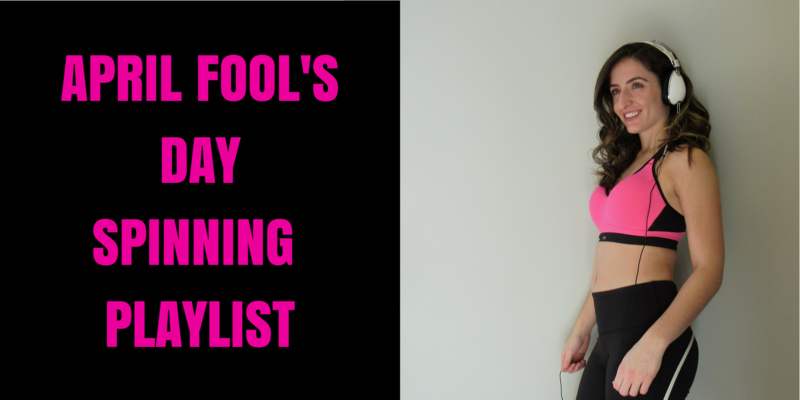 If you’re looking for 45-minute spin class routine ideas, here are a bunch of class-approved playlists and routines to try. Song 1: “Seated climb + 30-second sprint”. Keeping feet fast (to pace of music), increase resistance starting moderate and ending hard intensity. Then, 30-second breathless sprint at the end. Song 2: “Seated climb + 45-second sprint”. Keeping feet fast (to pace of music), increase resistance starting moderate and ending hard intensity. This time, the 45-second sprint happens in the middle. “Force” the recovery by continuing to climb afterwards while working at a lower intensity. Song 3: “Seated climb + 60-second sprint”. Keeping feet fast (to pace of music), increase resistance starting moderate and ending hard intensity. Finally, do the 60-second sprint at the beginning. Afterwards, “force” the recovery continuing to work, but at a pace and intensity level that allows you to catch your breath. At the end of each series of three songs, allow for a full recovery with a towel and water break. Song 1: Climb. Start at a flat road resistance in moderate intensity. Then, add resistance, while maintaining RPM or pace, until you end in hard intensity. Song 2: Climb continues. Once you have enough resistance on the bike where it feels like you have to stand in order to keep up that RPM, then stand. You should have plenty of resistance under your feet. Then, continue the climb ending in a harder intensity (but not breathless). Song 3: 20/20/20 intervals. For the first 20 seconds, participants will strive for breathless intensity (a.k.a. sprint) for 20 seconds seated. Then, they’ll do the same thing standing for 20 seconds at breathless intensity. Finally, they’ll recover for 20 seconds standing or seated. I usually do this twice in a row, and allow them a longer break in the middle (typically around 40 seconds). Then, I’ll do one more 20/20/20 interval, or two if there’s enough time left in the song. Song 4: 30/30 intervals. The last exercise we did was 30/30 intervals with increased resistance. So, participants would hold breathless intensity for 30 seconds, then recover for 30 at moderate intensity. Right before each interval, I asked the class to add some resistance, so that it felt like they continued to “climb” with each sprint. Song 4: moderate pace/intensity with hard intensity surges at the chorus. Can be a mix of leg speed and resistance increases. Song 5: surprise sprints. The instructor calls out an intensity (hard or breathless) and a duration (30 seconds). When you say “go”, we’re off to the races. If the bikes in your Group X classes have monitors, this is an easy lesson plan to incorporate the monitors, as well. Instead of doing 30 second, 45 second and 1-minute sprints in each series, devote each series to one amount of time. Say, 30 seconds for the first one, then 45 seconds for the second and 1 minute for the last one. With each sprint in a series, have the participants do the same amount of time, and track the distance they cover on that first sprint. From there, set a goal for members to try to beat that distance when they do the sprint in the next two songs. So, in the first series, participants are sprinting for 30 seconds, tracking their time, then sprinting for 30 seconds in the next two songs and trying to beat their distance. After the first series is over, start fresh tracking the distance traveled in 45 seconds, and so on. For more suggestions, check out my workout routines and playlists page.